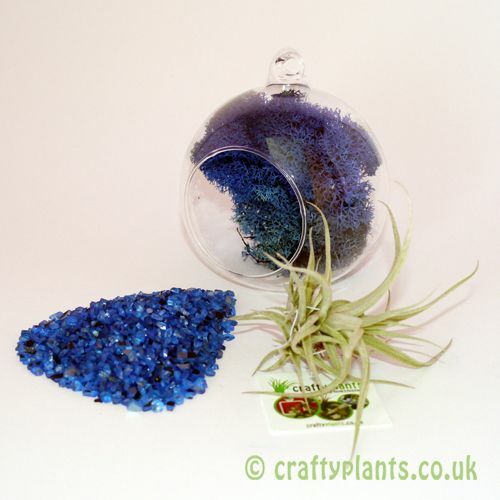 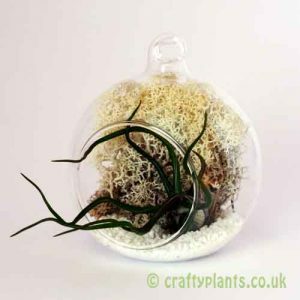 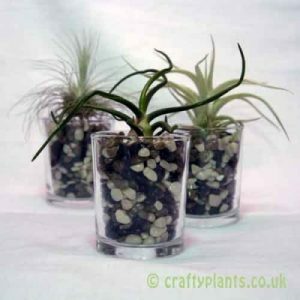 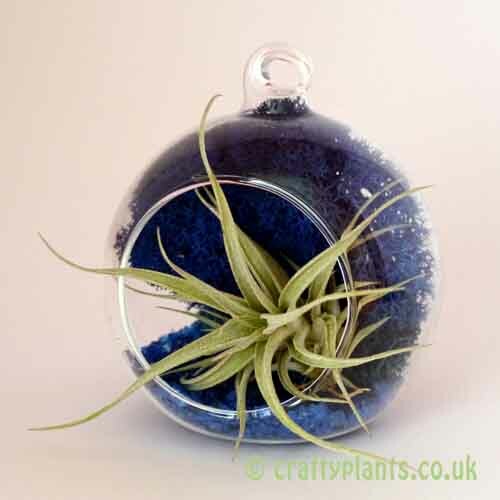 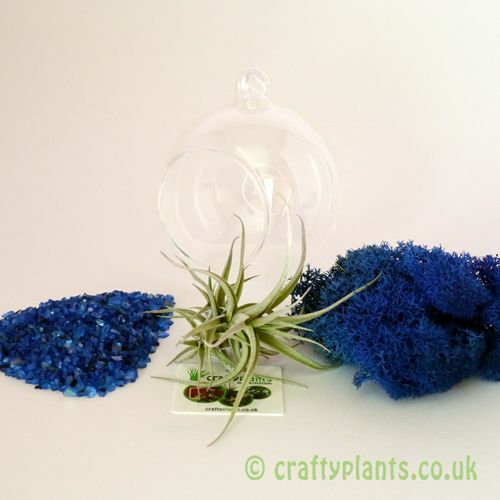 Simply place the reindeer moss in the back of the glass ball, lie your airplant so the leaves are protruding from the opening and gently pour in the gravel. 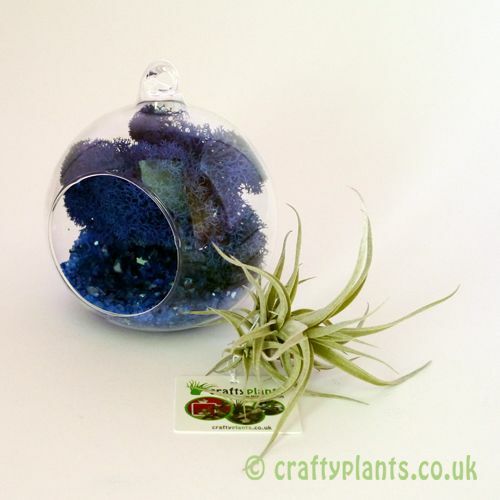 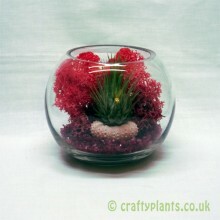 Sit back and enjoy your new airplant terrarium! 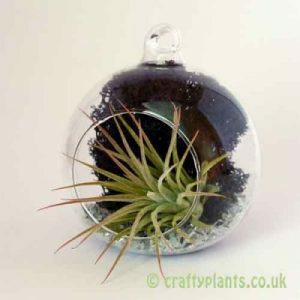 The flat base makes these mini terrariums great table decoration, and the top loop means you can create a great hanging display.